The fingerprint sensor in Apple’s new iPhone 5S has the potential to enhance the security of the device, but the devil will be in the details. Its effectiveness will depend on the strength of the implementation and whether it’s used in conjunction with other security credentials, researchers said. It’s not clear if the feature will also be used in other scenarios that have yet to be revealed or if third-party applications will also be able to use it to authenticate users. In presenting the technology Tuesday, Apple said the fingerprint data is encrypted and locked in the device’s new A7 chip, that it’s never directly accessible to software and that it’s not stored on Apple’s servers or backed up to iCloud. 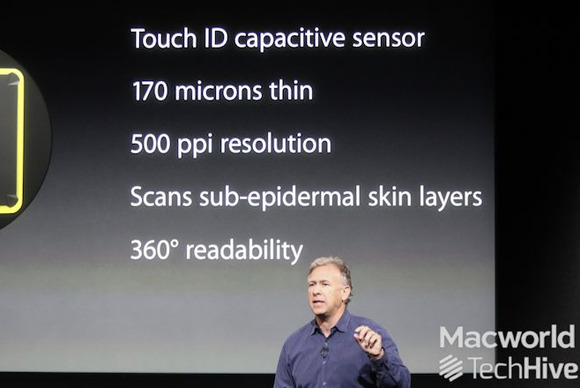 Apple’s iPhone 5s features a TouchID fingerprint sensor. Fingerprint technology is not a high-security feature, said Marc Rogers, principal security researcher at mobile security firm Lookout. That’s why most military installations, for example, use hand geometry or retina scanners instead, he said. “It is possible to copy a fingerprint and I think that as the technology sees wider usage, the techniques of copying fingerprints will only improve,” the researcher said. However, a fingerprint is still better and more convenient than a four-digit PIN, he said. The best single factor of authentication is a strong password stored only in the user’s brain, but it’s inherently difficult for people to create and remember strong passwords, Sigurdson said. This often results in bad passwords being used, so a good fingerprint reader and matching algorithm will likely improve the security of iOS devices, he said. 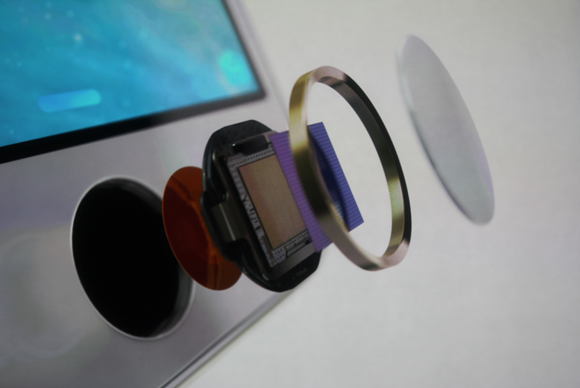 The fingerprint sensor in the iPhone 5s is embedded in the Home button. Many people probably don’t even set a PIN because it’s inconvenient to enter it every time, so a fingerprint gives them the opportunity to secure their device in a way that’s better than nothing, Rogers said. Rogers believes fingerprints could add great security if they’re used in conjunction with other security credentials as part of two-factor authentication. For example, Apple could allow users to set a strong, complex password that’s used to encrypt the file system and which would need to be entered only when the device is switched on. The user’s fingerprint could then be used as a medium-strength access credential to unlock the device when it’s on and needs to be used. This would provide both security and convenience for users, Rogers said. In addition, if Apple would allow other applications on the device to use the fingerprint sensor, it could increase the security of those applications. For example, a banking application could require users to authorize transactions by scanning their fingerprints, limiting what attackers can do if they steal those users’ log-in passwords, he said. Security best practices indicate that access control should always use at least two factors: “something you know,” like a password or PIN; “something you have,” like a physical token device; or “something you are,” like a biometric feature, including fingerprints, Pogue said. Adding an additional layer of defense makes unauthorized access to the device through that mechanism exponentially more difficult, he said. The FIDO Alliance, an industry group that wants to reduce reliance on passwords, welcomed Apple’s inclusion of a fingerprint sensor, but didn’t think it would result in widespread adoption of such technology, because its implementation is proprietary.